But Mr President, more can be done of course by state actors. Mark Lowcock talked about the importance of increasing the understanding and training of some countries’ armed forces. But he also spoke about the need to do so with non-state actors – a point made also by Peter Maurer. I think this is an area to which Security Council could give greater focus. 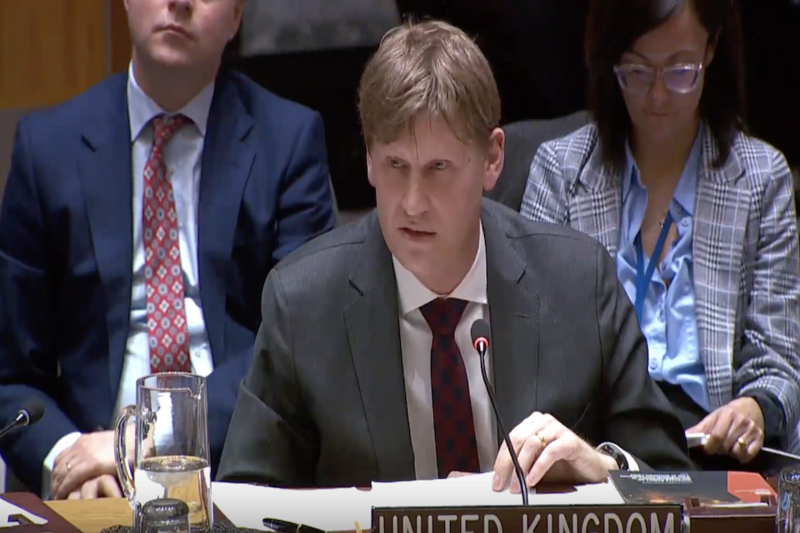 We can look both at education and training and ensuring Commanders are aware of their liabilities under International Law whether those are state or non-state actors and look at tackling actions through sanctions in particular of non-state actors. 1) Ask for, gather and then discuss data about not just the most egregious violations of International Humanitarian Law but also the bureaucratic impediments of interference in humanitarian assistance which kills so many of those in most desperate need;. 3) We should consider how such understanding and training could be expanded to non-state actors and ensure they also are held to account. 6) We should push consistently for accountability mechanism where states cannot or will not act. As Peter Maurer said, International Humanitarian Law and its upholding relies on our common acceptance that there are limits to war. We all therefore have a stake in upholding it and strengthening it for our common humanity.